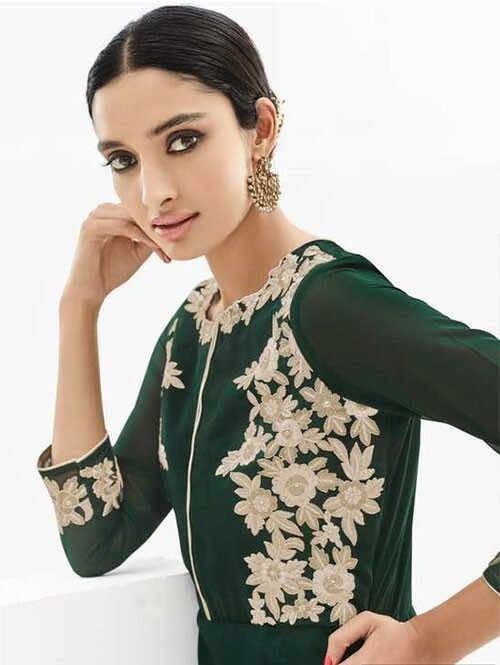 Green Colored Beautiful Georgette High-Low Kurti with Heavy Embroidery. 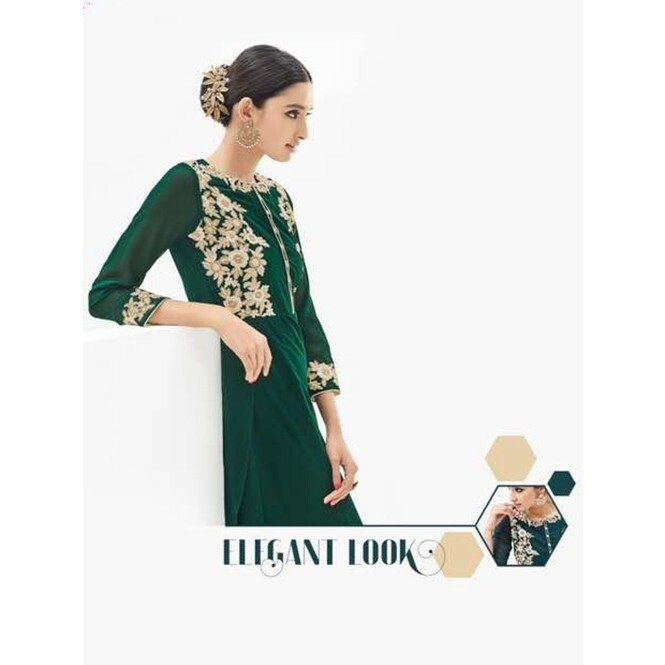 Catch Out Best Look For The Day With This Awesome Green Colored Georgette Embroidered Kurti today. 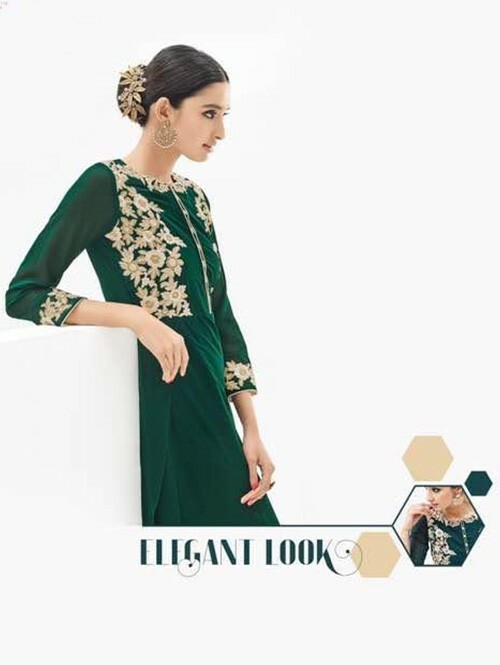 Look Magnificent And Stylish By Wearing This Green Coloured Heavy Embroidered Kurti For Women. Made From Faux Georgette. 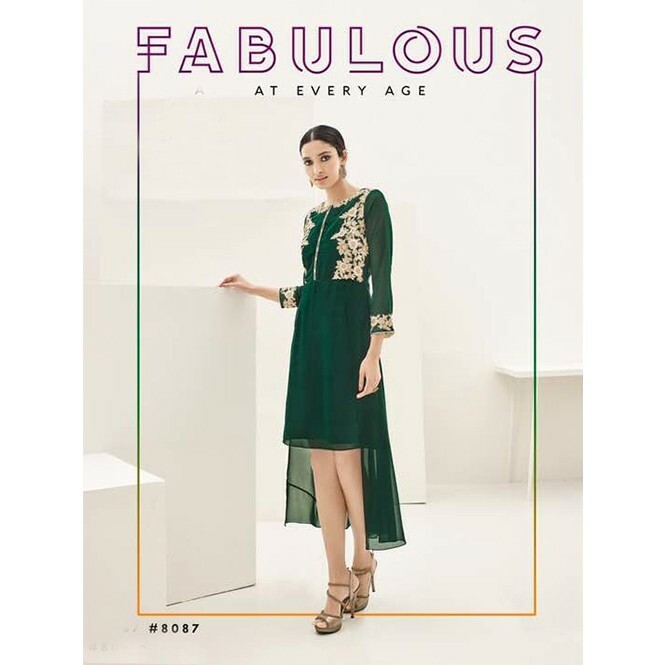 This Kurti Has A 3/4th Sleeve And Round Neck with Heavy Crepe Inner.This beautifully kurti made specially for attractive girls and women, it will surely catch all attraction in events like marriage ceremony, parties, outings, casual wear. Yellow Colored Beautiful Embroidered Georgette Stylist Kurti.